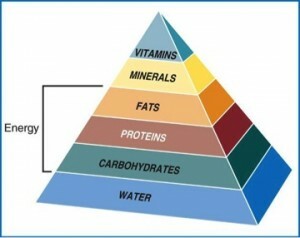 It all starts with nutrition. Of all the decisions you make on behalf of your dog, his diet is the most important. Beginning his life with the best puppy food and transitioning into the best dog food will have an immediate and significant effect on the length and quality of his life. That being true, it is helpful to understand some fundamentals of canine nutrition. Our full-time veterinarian and Director of Veterinary Nutrition and Education, Dr. Oscar E. Chavez DVM, is a professor in canine clinical nutrition at Cal Poly Pomona university, and also facilitates courses at Western University Veterinary School. Education is his passion, and we are fortunate enough to have him run our Dog Nutrition and Learning Center. He has provided the information below based on the most recent research and current knowledge on canine nutrition. Canine nutrients are comprised of six basic categories: 1) protein 2) fats 3) Carbohydrates 4) minerals 5) vitamins 6) water. Of the six essential nutrients, only three are ‘energy’ producing, meaning they contribute to metabolizable energy, also referred to as Calories (Kcals). Dogs are omnivores, or also sometimes referred to as facultative carnivores. Essentially, this means they derive their energy from all three energy producing nutrients. Recent studies suggest that dogs have actually evolved to process carbohydrates alongside humans in their domestication process. Dr. Chavez was consulted for an article by the LA Times on a study published in Nature that revealed exactly this: dogs are designed to process carbohydrates better than their wolf ancestors. Typical percentages of metabolizable energy coming from the energy producing nutrients in dog food are: 20-30% protein, 20-30% fat, and 40-50% carbohydrates. Calcium (Ca): Of all the minerals, calcium is required in the greatest volume. It is used for bone development, blood coagulation, muscle contraction and nerve function. Phosphorous (P): Together with calcium, this element is required for normal bone development, cell membranes and energy metabolism. Magnesium (Mg): Necessary for proper function of the nervous system, bone growth and the production of protein. It is necessary for the absorption and proper use of certain vitamins and minerals including Vitamins C and E, calcium and phosphorous, sodium and potassium. It is also necessary for the functioning of many enzymes in the body. Sulfur (S): Sulfur is essential for a healthy dog coat, skin, and joints. Sulfur works with B-complex vitamins for basic body metabolism and is a part of tissue building amino acids. It is needed to maintain the flow of fluid and nutrients into cells and to remove waste and toxins. Sodium (Na): Sodium is required for the passage of nutrients in the cells and involved in water metabolism. Potassium (K): Potassium helps muscle and nerve transmission and helps maintain fluid balance in the body. Chloride (Cl): Chloride is necessary for the production of HCL (hydrochloric acid) which aids in digestion. It also balances the pH (acid/alkali) in the body. Iron (Fe): Iron combines with copper and protein to form hemoglobin, the molecule that carries oxygen in red blood cells. Iron also provides energy and helps in the early stages of brain development. Copper (Cu): Copper is necessary for the absorption of iron, formation of collagen, growth, development and maintenance of bone, connective tissue and heart as well as the formation and maturation of red blood cells, the utilization of iron and the synthesis of proteins and enzymes. These enzymes are important as they produce cellular energy and regulate nerve transmission, blood clotting and aid in transport of oxygen. Manganese (Mn): Manganese is essential for normal bone growth and development. It helps nourish the nerves and brain and aids in the coordination of nerve impulses. Manganese helps the body utilize key nutrients such as biotin, thiamin, ascorbic acid and choline as well as aiding in the synthesis of fatty acids and protects cells from free-radical damage. Iodine (I): Iodine is necessary for the proper functioning of the thyroid gland and the production of thyroid hormones, which regulate the rate of metabolism in the body and play an important role in normal growth. Selenium (Se): Selenium serves as an anti-oxidant and works in combination with vitamin E to protect cells. Zinc (Zn): Zinc is needed for the body’s immune system to work properly. It plays a key role in cell division and growth, aids in healing wounds and assists in the digestive process. Vitamin A is essential for normal growth and the formation of strong dog bones and teeth, healthy skin, good vision and cell structure. It also protects the lining of the respiratory, digestive and urinary tracts against infection. Vitamin D promotes absorption of calcium and phosphorus and helps development of dog teeth and bones. Other uses in the body are muscle contraction, blood clotting, nerve conduction, cell signaling and helps balance phosphorous levels. Vitamin E protects Vitamin A, allowing it to function properly. It also is an anti-oxidant and is thought to play a role in DNA repair and in the body’s immune system. Vitamin K allows blood to clot normally and is a critical nutrient for dog bone health. It plays a role in the protection against oxidative damage and supporting brain and nervous system structure. There is no single, one substance vitamin B but a whole range of chemical compounds that have been given a number for easy pronunciation. Thiamine is required in carbohydrate and protein metabolism. It helps fuel your dog’s body by converting blood sugar to energy. It’s essential for the nervous system and healthy heart function. Riboflavin is required for the metabolism of amino acids, fatty acids and carbohydrates. It is also needed to activate vitamin B6, assists the adrenal gland and helps to create niacin. It may also be used for cell respiration and growth, as well as red blood cell formation. Niacin helps enzymes function properly which aids digestion. It has a role in the production of certain hormones. It also enhances blood flow, helps in healing, aids in sleeping and plays a role in the nerves, skin and coat. Like other B vitamins, pantothenic acid helps the body extract energy from carbohydrates, fats, and proteins. It also helps to metabolize fats and produce red blood cells and hormones from the adrenal gland. Vitamin B6 is needed to break down proteins, carbohydrates and fats, maintains blood sugar and is involved in making hormones, insulin antibodies and cell membranes. It also helps your dog’s muscles use energy and is needed by the nervous and immune systems. Biotin is essential for the metabolism of fats and carbohydrates. It helps support adrenal function and maintain a healthy nervous system. Vitamin B9 is essential for growth and development as well as encouraging normal nerve and proper brain function. It also aids in the production of red blood cells. Vitamin B12 is necessary for the support of adrenal function and to maintain a healthy nervous system. It is also vital for the development and maintenance of red blood cells and nerve cells, as well as aiding in the production of DNA. Proteins contribute approximately 4 kcals per gram and are the primary requirement for a balanced diet, as dogs must obtain all 22 essential amino acids from their food. Animal meat, such as meat certified by the USDA fit for human consumption, is currently the most bioavailable and highest quality protein ingredient available for dogs. Protein is made of amino acids, which are required for heathy tissue growth, maintenance, and repair, and is an important source of calories. At JFFDs we formulate our diets with the amino acid balance as our primary focus, using USDA meats rich in high quality protein such as beef, lamb, chicken, and turkey. Fats are energy dense, providing approximately 9 kcals per gram and this energy can be stored long term for future use. If there are more fatty acids than needed, they are converted into fat and stored in the body. They provide the most concentrated source of calories and add flavor and texture to food. Omega 3 and 6 fatty acids contribute to skin and coat condition, aiding in relief from itching, scratching, dry skin, dull coat and hair loss. Fats also contain vitamins A, D, E and K.
Carbohydrates contribute 3.5 kcals of energy per gram. They are a nutritious, energy producing nutrient. During digestion, carbohydrates are broken down into glucose which travels through the bloodstream and provides quick energy to requiring cells. Carbohydrates are stored in small amounts in your dog’s muscles as glycogen. They are a used for short and quick bursts of energy. Carbohydrates come from grains and plants, as well as potatoes and other starches. Some people claim carbohydrates from grains to be ‘empty fillers’, but that’s scientifically not true. While it is true that some carbohydrate sources found in processed commercial kibble can lack digestibility and be less nutritious, whole grain, high quality carbohydrates are an excellent source of energy when used in dog food. The real difference here is processed carbs vs. real food carbs, and there is no contest. Carbohydrates from whole foods are an excellent source of energy for dogs. Carbohydrates that contain fiber also play a healthy roll in digestion and bowel health and research has shown that they can be a great tool in regulating bowel movements, weight control, and also in helping regulate diabetic dogs while on insulin therapy. Non-energy producing nutrients are just as important as the energy producing ones. Even though these essential vitamins and minerals don’t contribute to calories, they are necessary for normal body functions and metabolism. In fact, when missing over time, diets deficient in vitamins and minerals will lead to diseases and illnesses. This is why it’s extremely important to make sure your pets’ diet is complete and balanced, as verified by the AAFCO statement of nutritional adequacy. Minerals are required to aid in nerve transmission, muscle contraction, development of bone and cartilage, blood regulation, and maintaining water and electrolyte balance, among many others. Many minerals are required in biochemical reactions as cofactors. Without minerals, your dog simply cannot perform all the bodily functions it needs daily. Vitamins are also essential cofactors in important metabolic reactions and arecomprised of two major categories, fat soluble and water soluble. Fat soluble. It is not possible for an excess of these vitamins to be excreted from the body via urine, so toxicity levels can be reached more quickly compared to water soluble vitamins. However, the advantage in fat soluble vitamins is that your dog’s system can store them in the liver for future synthesis. Water soluble. Water soluble vitamins are absorbed in the small intestines and excess amounts easily leave the body via urination. Because these vitamins cannot be stored, your dog needs his daily portion of each. Water is considered the most important nutrient. It regulates body temperature, maintains hydration and lubricates joints and eyes among many other functions. Always keep plenty of clean, fresh water available for your healthy dog. I wanted to write a quick note to say thank you to your entire staff. 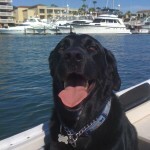 Several months ago, my 10+ year old black lab Shadow was in rough shape. She was having back problems and had started to stumble a bit when she walked. In addition, she had basically stopped eating. 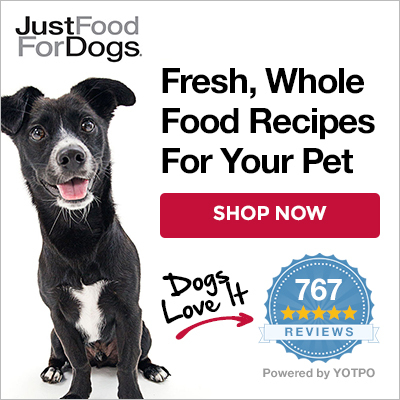 I had heard of Just Food For Dogs from a friend and wanted to do anything that I could to get my puppy healthier. I stopped in and one of your staff members gave me a free sample to bring home. Shadow loved it and I went back the next day to order a bucket. Within a week, the results were simply incredible. Not only was Shadow eating again but her balance was better, she had much more energy and her skin and coat looked great. She was her old self again able to go on walks on the beach and even swim in the bay a little bit. Shadow passed away a few weeks ago when her health had deteriorated to the point where there wasn’t anything else we could do for her. However, your food provided a great, very-loved old girl with a high quality of life for a couple of months that she wouldn’t have had otherwise. It also gave my wife and I two more months to enjoy with our best friend before we had to say goodbye. We can’t thank you enough. We aren’t ready to adopt another dog just yet but we will be back when we do. After seeing the difference that your food made with Shadow, I wouldn’t buy another dog food.